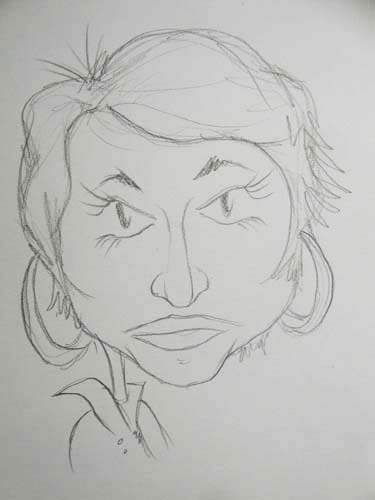 In the penultimate caricature class we dealt with the profile. Here’s my demo on that topic. But the inevitable finale to a class in the art of caricature would have to be what? Of course, you have to draw the teacher. 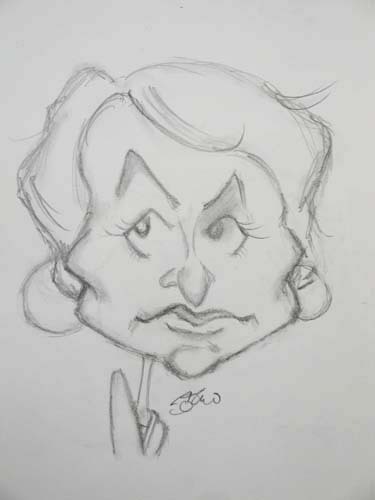 This caricature class, earlier this summer, met for only five two-hour sessions. Make no mistake, this is a serious class. (You can find earlier posts on specific demos.) One of the topics we kept coming back to is the psychology of the whole business. 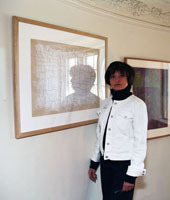 Drawing women, for example. Or drawing people you know, your family or your friends. It gets complicated! My students (only three were present for the last class, hey, it’s summer) rose to the challenge. 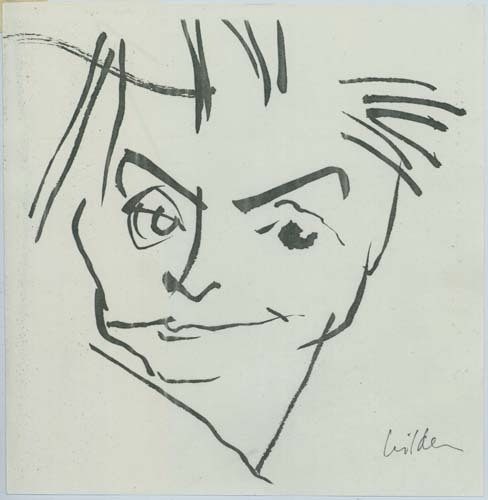 It really does take courage to draw caricatures. You can tell, that they got the lesson on eyelashes for women. 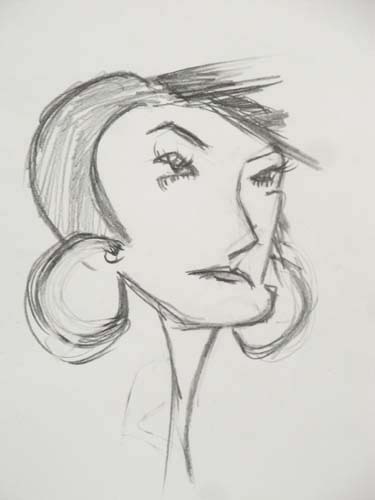 One student apparently saw my Cruella de Vil side. That’s fine. 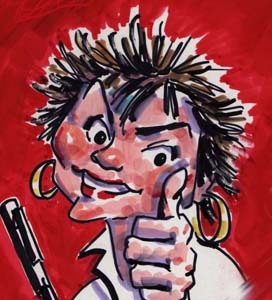 When I caricatured myself about eighteen years ago, I also showed no mercy. But then, for my business card, I had to go for a more show-biz look. Did I mention…it’s complicated.